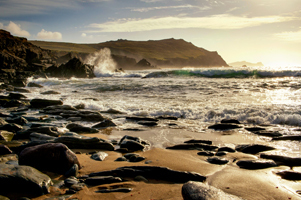 While you're exploring County Donegal, discover the Wild Atlantic Way's Northern Headlands, including the mysterious Bloody Foreland. 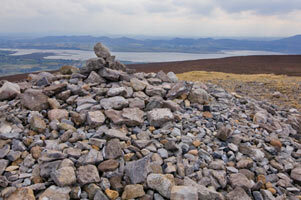 Atop Knocknarea mountain in County Sligo, you’ll find a pile of thousands of stones – beneath it lies a queen. Long ago, the fearsome Queen Medbh of Connacht was consumed with the thought of acquiring a magnificent bull as she wanted to ensure her wealth equalled that of her husband. She set her sights on the legendary Brown Bull of Cooley in the province of Ulster and what happened next has been immortalised in The Cattle Raid of Cooley – the great epic of Irish mythology. Knocknarea is an integral part one of this famous story – so climb to the top, soak up the atmosphere and enjoy the views. Strolling around the pretty village of Cong, County Mayo (known to many from its scenic cameo in The Quiet Man), you’d never think that a cataclysmic battle once took place here between two warring magical clans. The supernatural warriors of the Tuatha Dé Danann (“Tribe of the Gods”) defeated the Fir Bolg (another race of ancient Irish warriors) and won control of Ireland. Nowadays, Cong is home to the stunning Ashford Castle as well as the magnificent Cross of Cong, a must-see for anyone interested in Ireland’s Christian Heritage. 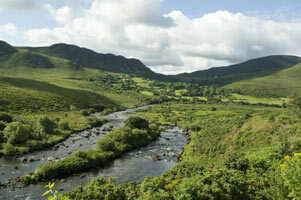 Counties Kerry, Cork and Waterford are steeped in Celtic mythology. 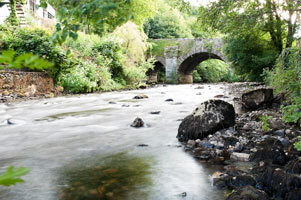 The most famous of all Ireland's tales – the story of Tir na nÓg – began here, along with tragic family sagas and some very interesting vampires. All that, and you've got the Wild Atlantic Way to explore, too. 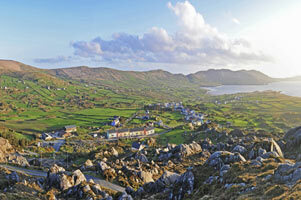 At the picture-perfect village of Allihies on Cork’s Beara Peninsula, you’ll find some large white boulders where it’s said the Children of Lir are buried. These are the four offspring of King Lir, who were turned into swans and banished by their evil stepmother to live on Ireland’s lakes for 900 years. Returned to their human form by a local monk, they die instantly, and, it's said, are buried at this beauty spot. Allihies is famous for its copper mines – drop into the Copper Mine Museum for a fascinating afternoon. The Motte Stone sits on top of Croneblane Ridge, 243 metres/800ft above sea level, and overlooks the picturesque vale of Avoca. 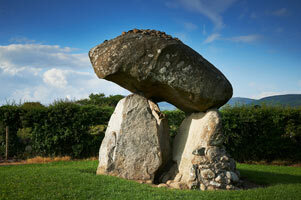 It is known locally as "Fionn mac Cumhaill’s Hurling Stone" – after one of Irish mythology's most famous sons. Climb up the stone’s iron ladder to the top and be rewarded with stunning views. 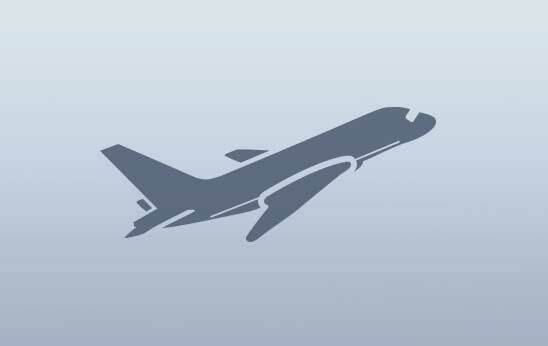 On a clear day, you may even be able to see all the way to Wales – yes, really! The Avoca café provides hearty stews, home-baked bread and delightful sweet things to hungry folks around – it’s well worth a visit. According to legend, Uisneach in County Westmeath is the gateway to a magical “otherworld”, the burial place of a queen and the seat of former kings. It’s an awe-inspiring place: the hilltop lake alone is worth a trip, and you’ll enjoy stunning views over the surrounding countryside. It was at Uisneach that the Sun God Lugh met his end. According to the stories, though, he lives on as a comet – so don’t forget to look up. 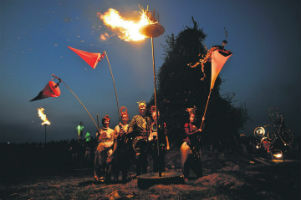 In May, the Uisneach Festival of Fire takes place. It’s a whirl of feasting, music, dance and – of course – fire. Remember Queen Medbh’s quest for the Brown Bull of Cooley? Well, the story didn’t end on Knocknarea. It continued on to the stunning Cooley Peninsula in County Louth. 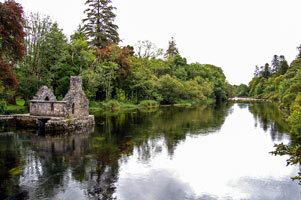 Nowadays, you can come to this rugged spot for a spectacular scenic drive and to explore Ireland’s Ancient East. But in the distant past, it was where Cú Chulainn and his foster brother Ferdia – fighting on behalf of Queen Medbh – battled for the Brown Bull of Cooley. 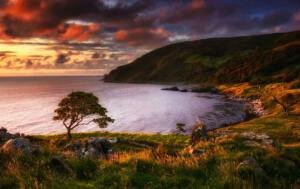 It’s also said to be the final resting place of Fionn mac Cumhaill, a giant of Irish mythology. The magnificent Proleek Portal Tomb is nearby – legend has it that a wish will be granted to anyone whose pebble stays balanced on the capstone. 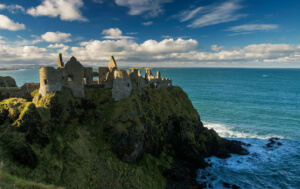 Northern Ireland's history of heroes and villains didn't start when Game of Thrones® began filming here. Roll back the years and you'll discover a host of myths and legends in this part of the world: some inspiring and some tragic. Love can be cruel: no one knew this better than the tragic couple who arrived to Dunseverick, County Antrim, all those years ago. 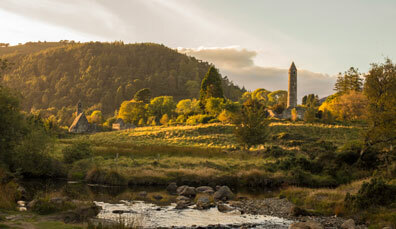 It was here that Deirdre and her lover Naoise returned after fleeing to Scotland under threat from King Conor, only for Naoise to be killed immediately. Deirdre died soon after, but the castle remains. 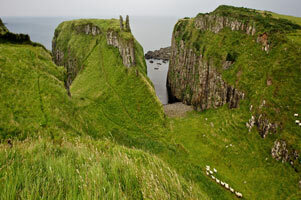 Standing atop a sheer cliff on the Causeway Coast, it’s a beautiful place to explore, even with its tragic backstory. 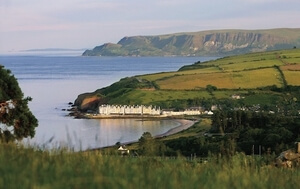 Head to the nearby Bushmills Inn restaurant for hearty pub grub – delicious. Fionn mac Cumhaill pops up again and again in Ireland’s mythology – he’s a bit like our very own Superman. 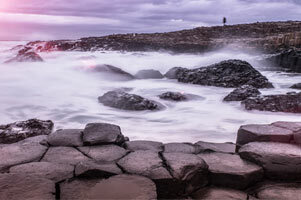 The renowned warrior led the Fianna, a mythical army: he also hunted monsters and created entire islands, but none of his exploits are more famous than the road-building, giant-battling antics that brought us the Giant’s Causeway. Fionn squared off against Scottish giant Benandonner here, with the geological marvel acting as a pathway between the two nations. Love Game of Thrones®? 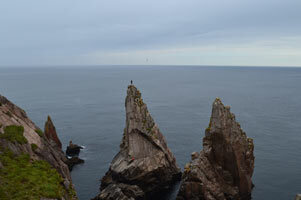 The nearby Ballintoy Harbor will look familiar – in the show it appears as the Iron Islands. Hate snakes? Thank St Murrough O’Heaney you’re in Ireland! 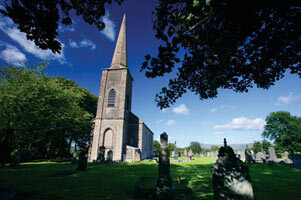 The saint’s remains lie in the picturesque Banagher Old Church, in County Londonderry. He is famed for trapping Lig na Paiste, a monstrous snake-like creature, which emerged from Lough Foyle upon the death of St Patrick. Head to the coast next, and admire the crashing waves – the unusual currents found here are apparently the result of the evil serpent’s continued presence below the surface. Continue on to Derry~Londonderry and visit Browns, a restaurant filled with old-school class. The wild mushroom risotto is divine. 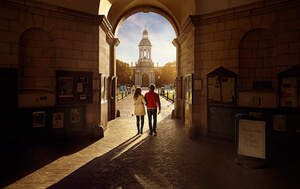 Ireland’s Ancient East isn’t just home to myths – there are hundreds of special stories to be discovered here in this historic land. 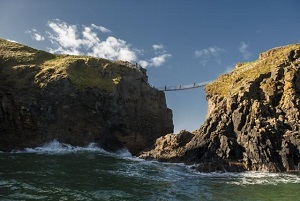 Swing from a rope bridge, visit the Ship of Dreams and explore Game of Thrones territory: this is Northern Ireland. Tour the Wild Atlantic Way and you’ll be on a remarkable journey – it’s 1,550 miles of rugged landscapes, friendly locals and raw beauty.